Enjoy a day away from Manhattan and journey to the ever-popular Hamptons on Long Island. You will also have the opportunity to explore Sag Harbor, a quaint 300-year-old seaside village. Your day is finished off with a shopping visit to the Tanger Outlets in Riverhead. You will depart New York through the borough of Queens, leaving the hustle and bustle of the big city behind. You'll begin to appreciate why the rich and famous chose to make Long Island their own personal playground when the scenery transforms from tall buildings to magnificent landscaping and gorgeous flowers in the springtime. You will continue east, passing the Long Island Duck before arriving to the famous Southhampton -- home to residents such as Jerry Seinfeld, Paris Hilton, David Letterman and Steven Spielberg. This is definitely the place to see and be seen! You will start your tour strolling down the picturesque main street, before heading down through the historical area the harbor and along Ocean Drive, passing some of the homes of the rich and famous along the way. 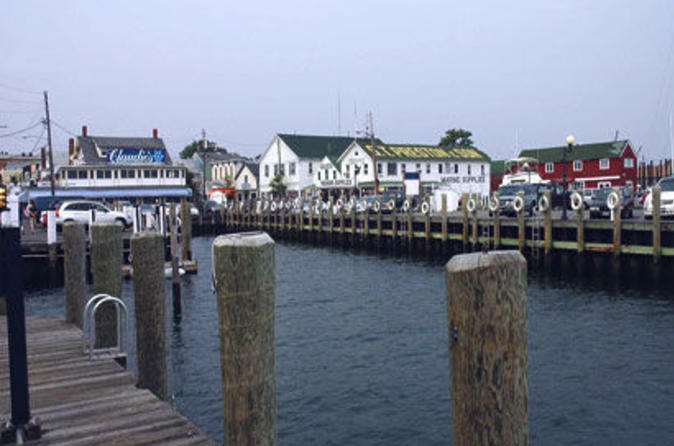 After you have had your fill of the rich and famous, you will continue to Sag Harbor, a picturesque and quaint town that invites its visitors to enjoy its unique atmosphere. Take your time to tour the harbor and see the yachts that are the toys of the rich, then stop at the antique stores or the old world shops for some real bargains. After lunch (not included) you will head west towards the Tanger Outlets where you will receive mall goodies and then explore the stores - find your own bargain with brand name stores for less. In the late afternoon you will depart west for an evening arrival in New York City.